We are a new modern practice, here to service Mt Barker and surrounding suburbs in the Adelaide Hills area including Nairne, Littlehampton, Macclesfield, Echunga, Hahndorf, Bridgewater, Aldgate, Balhannah, Strathalbyn, and Wistow. We are dedicated and passionate about providing high quality, long term dental care. We believe in conservative dentistry and are focused on the long term needs of our patients. We have a preventative approach to dental treatment wherever possible. We take the time to listen to your concerns and requirements and will prepare treatment plans according to your needs. We take the time to explain all the options available. Dentist know more than just about teeth. Each and every one of us have various reasons for wanting to change the way we look and feel. Many factors play a part in the overall ‘youthfulness’ of your skin such as age, skin care routine and lifestyle choices. All muscles in our face are used continuously in order to allow us to express a variety of emotion- such as anger, happiness or sadness. Through the repetitive use of these muscles changes in the face can gradually occur over time such as sagging, wrinkles and folds. Our aim is excellent dental health for life, through education and prevention. We use the highest quality digital xray systems, which means the lowest dose radiation possible. All our fillings are tooth coloured, so no one will know they are there. You can even watch the TV while your filling is being done. We can perform all aspects of cosmetic dentistry, for aesthetics and function. Implants can replace a missing tooth, restoring both function and aesthetics. Root canal treatment can help us save damaged teeth, and can be performed virtually pain free. A good dental future starts early. We can treat kids of all ages, and accept the Medicare Child Dental Benefits Scheme. Straighten your teeth with clear aligners – contact us for details. A range of whitening services are available to counteract discolouration caused by coffee, tea and red wine. We know that for some, there is a high level of anxiousness about your dental appointment. Our staff are well trained in the art of handling the most anxious patient. We can help with caring treatment, and happy gas (nitrous oxide) for something more. Sometimes things happen unexpectedly. We offer same day appointments for dental emergencies wherever possible. Our practice payment plans are managed by the Denticare direct debit service so we can focus on you and your smile. For more information, please call us or come in for a chat. We accept all major Health Funds and have HICAPS available for easy claiming. We are proud to support the non for profit health funds, HCF and CHBS. 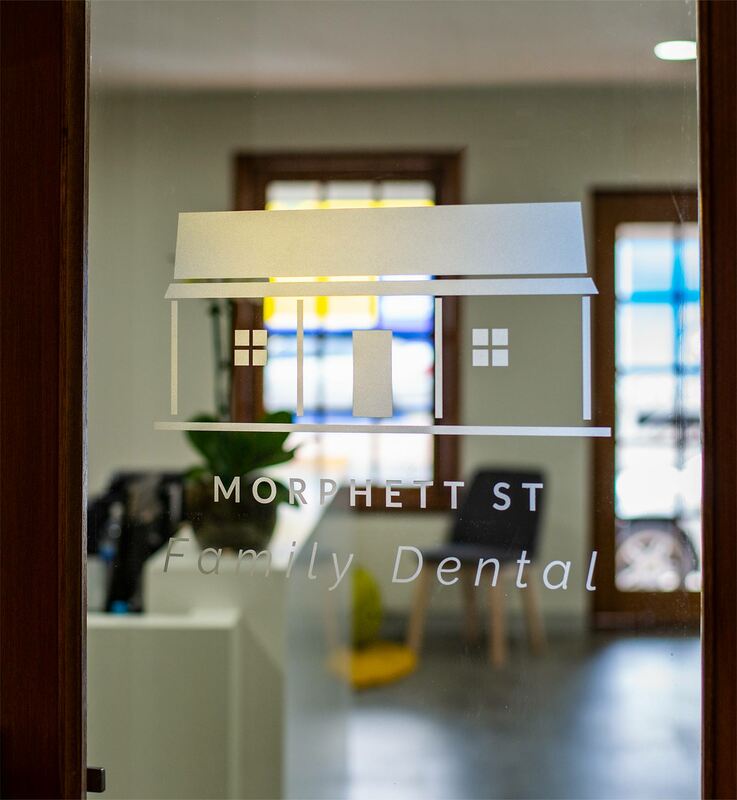 We are part of the HCF More for Teeth Program and CBHS Choice Network. Is this online booking system not working? Click here to launch it in a new window.